Snowriders Australia in partnership with Madarao Resort and the Active Life Group, is proud to announce Powder Seekers 2019; the first of what we hope will be a regular series of Club Skiing and Snowboarding adventures to Japan, Australia and other snowy destinations. Powder Seekers 2019, taking in Madarao and surrounding resorts, is suited to families and powder hounds alike. Madarao is the perfect family destination with gentle slopes, kid friendly western food and a kid’s adventure play area. Located in the middle of the Nagano prefecture, it is also the perfect base for the more experienced riders to enjoy the region’s famous champagne powder snow, either in the Madarao Resort itself, or other nearby resorts, as serviced by Active Life’s complimentary shuttle bus. 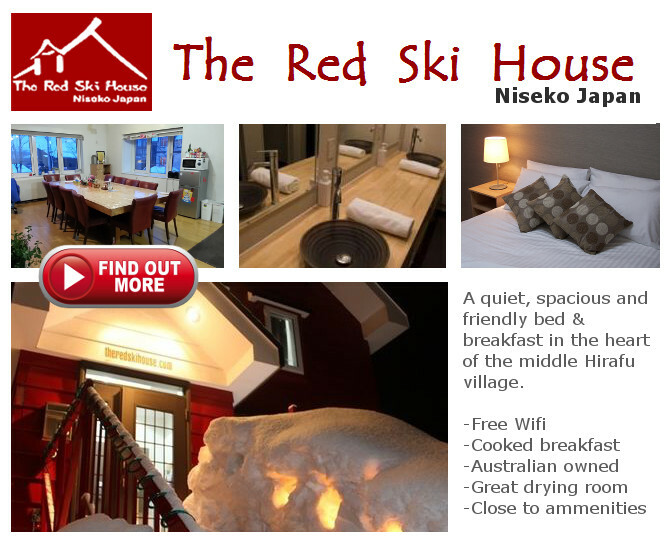 Our accommodation is Xplore and Hakken by Active Life, Australian/Kiwi owned and newly renovated hotels just minutes walk from the chairlift. Forget catching buses and taxis, everything in Madarao is just minutes away on foot, making everything super easy, especially with kids. SRA toured Madarao in 2018 with the kids in tow (see review here). Madarao is blessed with 8-10 m of snow annually and has a good variety of terrain from gentle beginner slopes, right through to black diamond tree runs. Furthermore, unlike some Japanese resorts, Madarao actually encourages off-piste tree skiing, which is facilitated by ‘glading’ (or thinning) of the trees. This makes for unparalleled off-piste skiing, without the crowds. Madarao is also relatively quiet, with few lift queues and no noisy night clubs; it does however have several cosy bars, perfect for après drinks and nibbles (including one in our chosen accommodation, and others throughout the Active Life Group). The resort is also close to the famous snow monkey park, accessible by coach (day trip). Places are very limited. For further information, please don’t hesitate to send us a message via our contacts page, or send us a personal message via our Facebook page. We’ve worked really hard with our partners at Active Life Group to bring you the best deal possible. Remember accommodation costs include breakfast, FREE lessons and FREE shuttle bus transfers to nearby resorts – all in peak season! Such a deal is rare and new for the Active Life Group. For example, the offer for FREE lessons alone represents a saving of about $AUD 50 pp per day (or $AUD200 a day for a family of four). When: 13-19 January 2019 (7 nights). Note, if you hold a Mt Buller Season Pass, you can ski Madarao free for three days, plus score 50% off further lift passes for the rest of your trip! [*1] – Guided days are supplied in the spirit of a social club event. 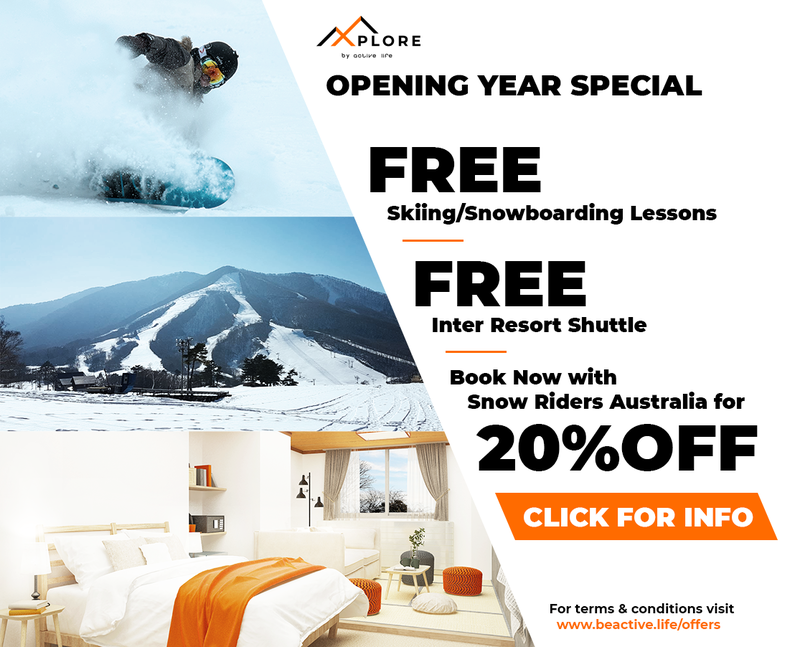 As such Snowriders Australia accepts no responsibility whatsoever for injuries that may occur either within or outside resort boundaries, or any costs incurred as a result. [*2] – For singles or couples. Basic accommodation in the newly renovated Xplore Hotel, with shared ablutions; 2 x single beds. Max 2 people. [*3] – Family friendly accommodation with private ensuite in the newly renovated Xplore Hotel; 1 x queen bed and 2 x single beds. Max 4 people. [*4] – Deluxe accommodation with private ensuite in the Hakken by Active Life Hotel; 1 x queen bed. Max 2 people, but 3 on request (extra costs incurred). [*5] – Basic insurance. Guests intending to participate in guided days are encouraged to seek off-piste cover and carefully review the insurance T&Cs. [*6] – Cheaper for multi day passes (more prices) e.g. 6 day adult pass = JPY 23,800.